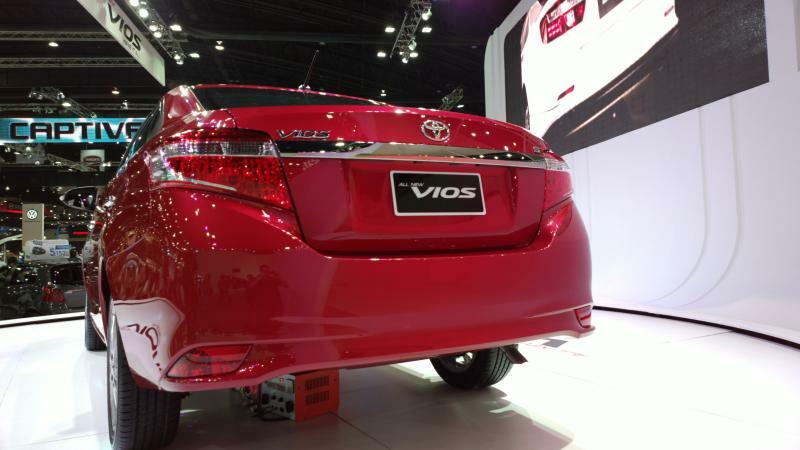 The new 2013 Vios is finally here, and without a doubt this was the major attraction at the Toyota exhibit. Actually based on the crowds that were gathered around the 2013 Vios models on display, I would suggest that the Vios was the most popular car at the 34th Bangkok International Motor Show. 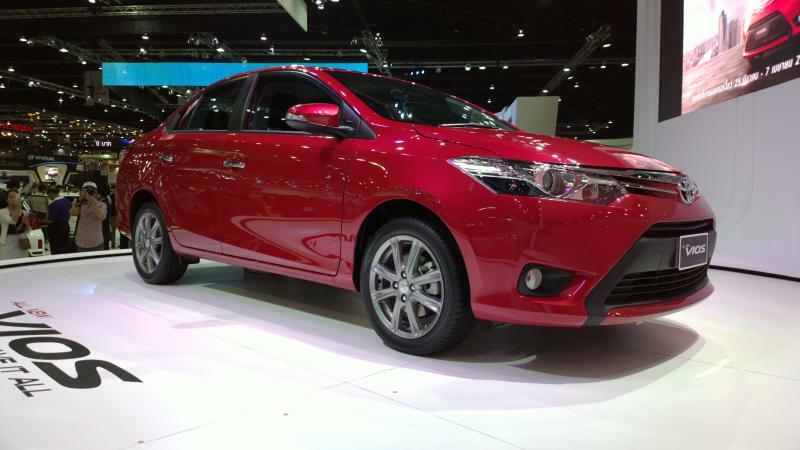 The Vios is a very important car for Toyota, and the current 2007 model has proved a hit. So, how does this third generation Vios compare to the second generation Vios? While looks are generally subjective, in this case, I can't imagine many people favouring the outgoing frightened hamster look of the second generation car over this. 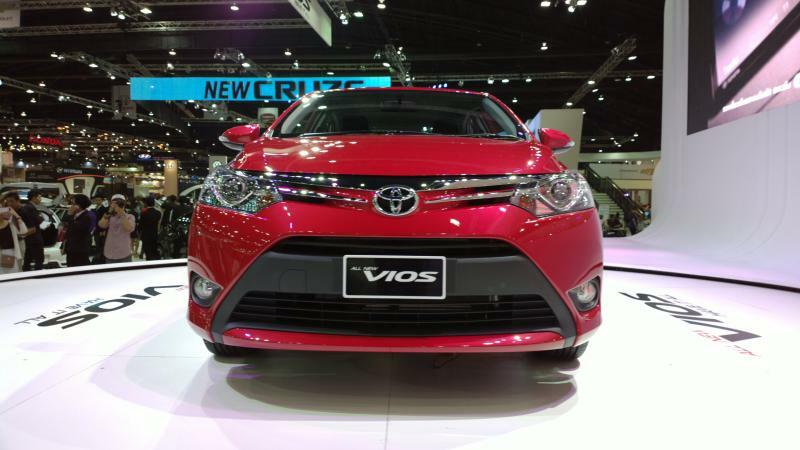 The new Vios is a good looking car for sure. The front end is particularly sharp looking, with nice details and strong looking lines. Overall, the exterior is very good, and although some may still prefer the cleaner looks of the Honda City, the exterior look of this 3rd gen Vios (unlike the previous model) shouldn't put anyone off. Climb inside the car, and you find that not much has changed in terms of space and practicality. The car is built on the same platform as the 2007 model, so the 2550cm wheelbase is identical, as is the width. In the back, the car retains the flat floor (no transmission tunnel), which is a real plus for families and improves comfort for the fifth passenger. The car is longer and higher than the outgoing model, but thanks to the sleek lines, it actually looks lower when viewed in isolation. Also, the extra height doesn't translate into extra headroom, particularly in the rear where my head was pressed into the cheap fabric lining the inside of the roof. For kids, and those under 180 cm, it is fine. And actually, probably about on par with the headroom on offer in other B-segment sedans. Climb behind the wheel and this feels like a all-new car. There are some really interesting design details in the cabin, and the steering wheel has a little hint of Lexus to it. Parts of the dash include stitching details that look a bit like those in the Camry. The centre console features a radio/cd player that is positioned quite high up, which should make for ease of operation. The quality of the materials and switchgear is generally very good, and overall Toyota have raised its game substantially with the new Vios. That said, they needed to. 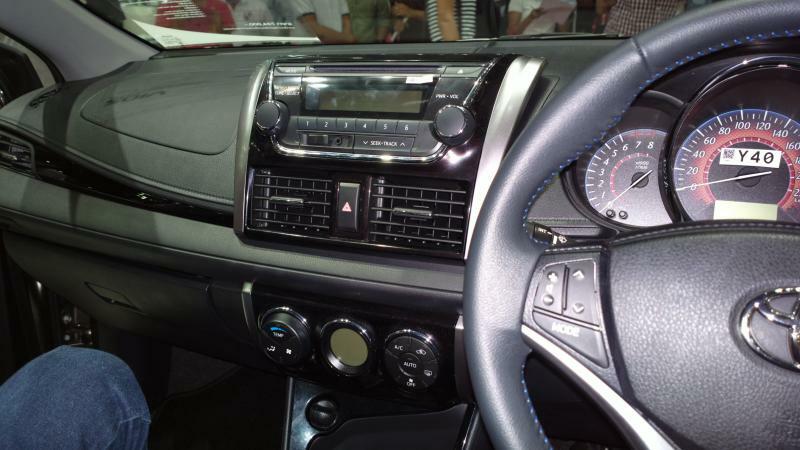 The Vios interior is now on-par with the 2008 Honda City, the 2012 Chevrolet Sonic, and the 2012 Kia Rio in terms of perceived quality. One or two details do let the car down however, including the gages which look quite cheap and hard to read, partly due to some strange coloured detailing behind the numbers, and a poor font selection. Perhaps in operation this won't be a problem, but they look a bit cheap. Overall though, few people will find things to complain about, particularly when you remember that this is effectively a small, low-cost car. 11 year old engine and gearbox technology anyone? Oh dear! What is it with Toyota? 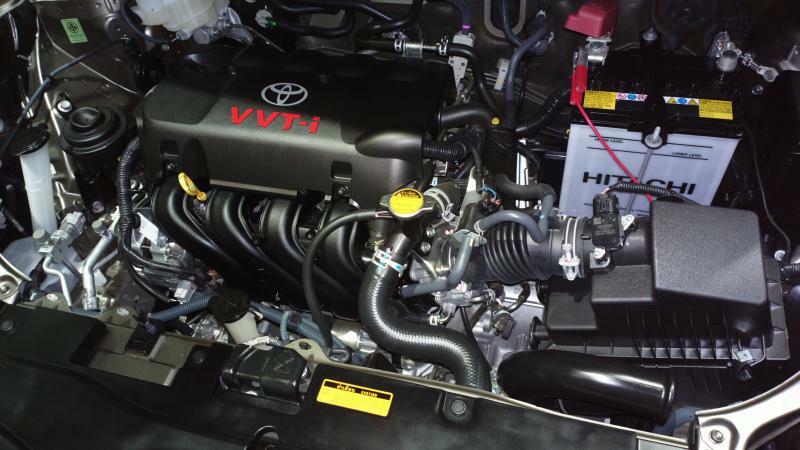 The engine in the 2013 Toyota Vios is the same engine as the one that graced the first Vios back in 2002. And while that engine was fine in 2002, it is very hard to believe that engine technology hasn't progressed in the last 11 years! 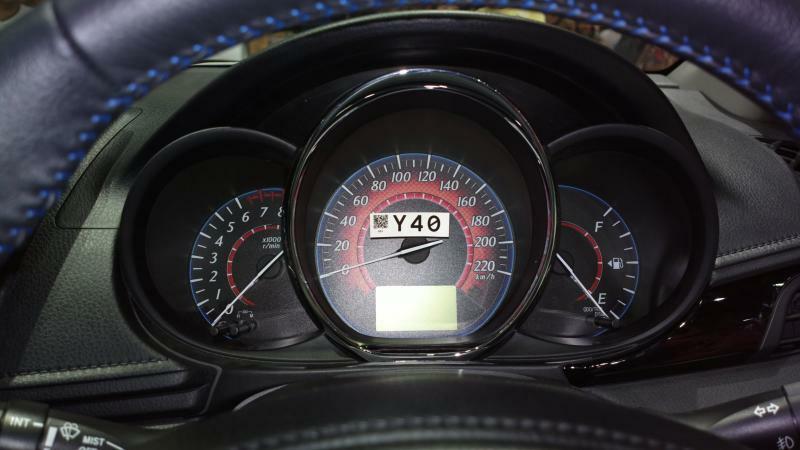 So, the 1NZ-FE 1.5 litre four-cylinder VVT-i unit is once again planted into the Vios, and yes, you guessed it, they have mated it with the same 5 speed manual, and 4 (yes F-O-U-R) speed automatic transmission choices as before. But, Toyota is doing it right. Nobody looking at the Vios really cares what is under the hood. It could have been a lawnmower engine and folks still would have been booking the car. This isn't the first time that Toyota has decided to roll out an "all-new" model while using old engines and transmissions. The Altis retained old technology in it's current iteration, and let's not forget that the current Camry in 2.0 litre form, retains the same tired old engine and 4-speed automatic from the previous generation. Toyota seem to be aware that technology isn't going to win anyone over. For example, the Chevrolet Cruze has a 6-speed automatic, and it isn't exactly taking the market by storm. But, with the 2008 Honda City enjoying a smooth-shifting 5-speed transmission and a more powerful newer 1.5 engine, the new Vios is actually a generation behind! Remember, the City is 5-years old now, and itself approaching end of life. While the new Vios certainly looks new, and the new look is a big improvement, apart from that it is business as usual. Toyota seems content to treat Thailand as a 3rd world country. While some may blame the lack of "standard" safety features on government policy shortcomings, the reality is that auto makers are doing the bare minimum in Thailand. With the Vios, you have to go for the top model, at 714,000 baht, in order to get two airbags. This is insane in 2013. The Proton Preve, by way of contrast, has 6 airbags for 759,000 baht in top model trim, and that is a C-segment car, competing with the Alits. The City has 2 airbags across the range, as does the Brio. In their promotional videos, Toyota show development and tuning work on the new Vios, when the reality is that they saved themselves all that effort and just restyled the 2007 car. They are counting on the undiscerning masses to continue to buy up this car. 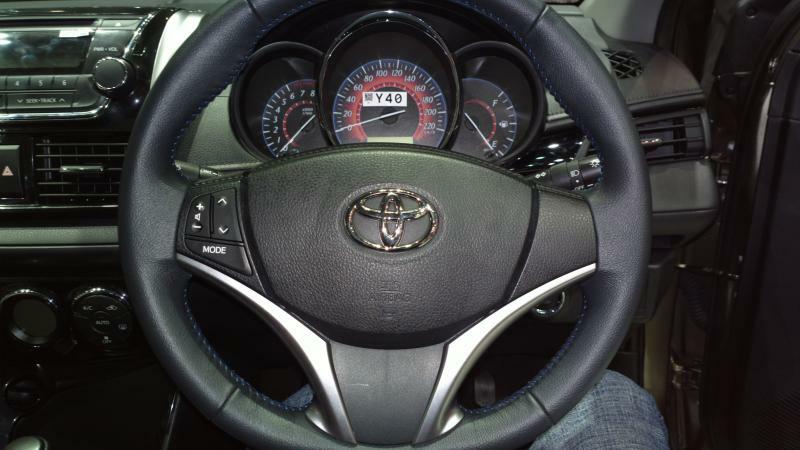 Mechanically, this is a generation behind, and nobody should reward Toyota by buying a 2007 Vios in 2013. But, I predict that this car will sell big. And that is a real shame. We can stop asking why Europeans can buy C-Segment cars with 7 airbags for under 600,000 baht, when in Thailand it is considerably more for a B-segment car with 11-year-old technology. The answer is clear. If we keep buying it, they keep making it. What else did Toyota bring? 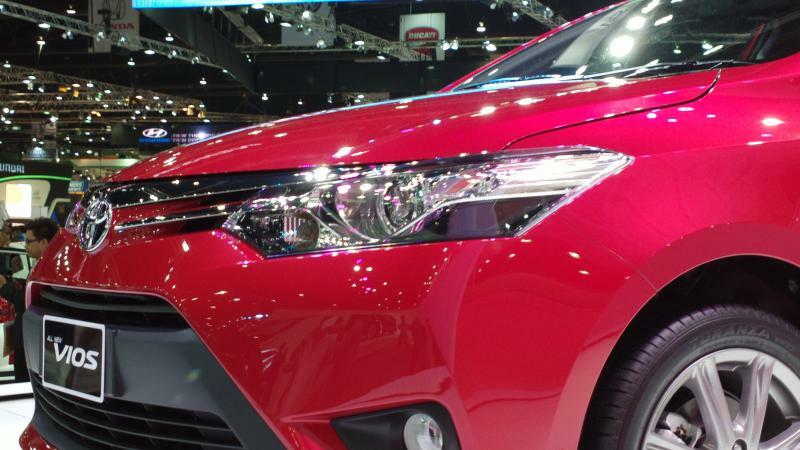 Enough about the Vios already, what else did Toyota have on show? Not a lot! Unsurprisingly, they have chosen to focus on one new model, and are remaining tight-lipped regarding the new Altis. There two concept cars, but nothing to get excited about. The included gallery below will give you a look at a few of the highlights from Toyota. Despite the Vios being a let-down technically, the car will do really well because it is a Toyota, and this is Thailand. The amount of interest revolving around the Toyota cars in general, and the Vios in particular makes it hard to suggest that Toyota is anything other than dominant in the Thai auto market. Related : Take our poll and express your feelings about the new Vios having 11-year-old technology.